D has been potty trained for a good few months now and I have noticed just how many wipes we use for quick clean ups after food and when we are out. I had always assumed we used most of the wipes through nappy changes, so I had expected our wipes usage to drop when D was potty trained. As I have mentioned before D has sensitive skin and we have really stuck with the same wipes for most of his life after we tried a few kinds which created some small rashes where the wipes had been used. I had heard about WaterWipes before but we hadn't tried them, mostly from the habit of buying the same wipes for so long. When I was contacted about reviewing WaterWipes I knew the timing was perfect. During the summer we use more wipes than at any other time of the year, we tend to be outdoors more, eat sticky lollies that melt, drink more juice and D tends to touch more during the warm days outdoors which always ends in dirty hands and clothes. All in all we do still use roughly a pack of wipes every week! WaterWipes where created by Edward McCloskey, a dad who's new born baby had sensitive skin and was suffering from a bad nappy rash. This caused him to check the ingredients in their wipes where he was shocked to discover chemicals listed. He began to question whether they where needed in the wipes and if using these chemicals on his child's skin was really necessary. He set out to find a better alternative which was safe and natural. A few years later WaterWipes were born and they had all the safety of water and cotton wool being used to clean the skin with the convenience of using wipes. WaterWipes have 2 different types of wipes their baby wipes which come in both a large (60 wipes) and travel size (10 wipes) and they also have cleansing wipes which come on packs of 60 wipes. WaterWipes baby wipes contain only two ingredients water (99.9%) and citrus grandis seed extract (0.1%) and compared to the other wipes on the market this is remarkable! Many of the other wipes in the UK can contain 13 ingredients, some of which can cause reactions on sensitive skin. It was those reaction which D had when he was younger. Their cleansing wipes contain both water and citrus grandis seed extract along with dead sea mineral Maris Sal added. WaterWipes have won awards for being the best baby wipes from Loved By Parents, Maternity Infant Awards and Parent Approved. They are also the only baby wipes that have ever been approved by Allergy UK which means that they are approved as an allergy friendly product! WaterWipes may help prevent nappy rash. They are also suitable for babies from birth due to being chemical free and therefore soft on babies skin. The travel packs of WaterWipes are perfect for children of D's age, who are potty trained but do still need wipes for face and hand cleaning while outdoors. They are the perfect size to pop in small handbags like the one I take out when we are just popping to local shops or off to the park. 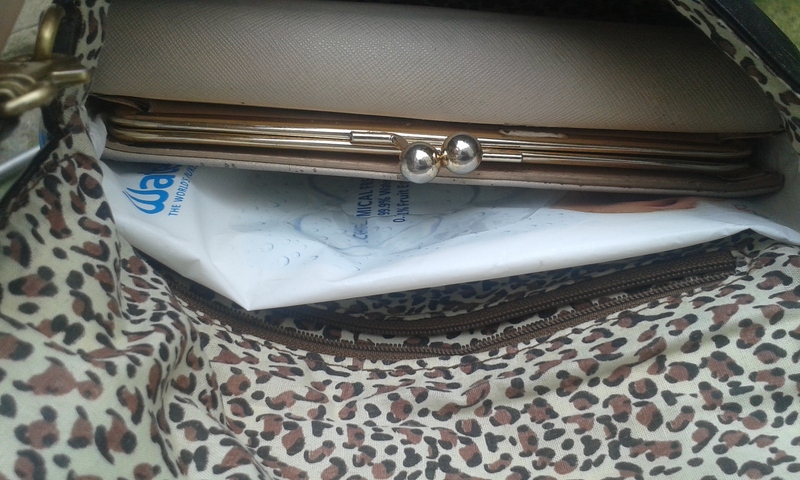 My bag is very small and usually will only contain my purse, keys and phone but adding the travel pack of Waterwipes was no trouble. It also allowed me to take the smaller bag out with us over the last few hot days without anything being left behind. The larger packs which contain 60 wipes are perfect for either keeping at home or taking out in medium or large bags/ baby changing bags and I would say these are perfect for those who have baby's or toddler's still wearing nappies. When we first started using WaterWipes last week I forgot to take them with us while we did our shopping and ended up having to buy a small pack of wipes in a local shop as the shops nearby didn't have WaterWipes in stock or didn't sell them. Even though we had used the other brand before with no issues, an hour or two after we used them D's face started to break out and I honestly think this was due to the other ingredients which aren't found in WaterWipes. After a week or so of using the wipes on a daily basis I have noticed that the little bumps D would usually have on his cheeks are gone and the few spots on his face are from the wipes while shopping and where he had a small cut below his eye that has not quite completely healed yet. WaterWipes have a pretty good amount of water inside each wipe and feel very wet to the touch. They do get everything off D's face with a gentle wipe, much to his pleasure! Usually it can take a few wipes to get off anything that I may not have noticed straight away and even then I would have had to apply pressure. We all agree that WaterWipes are very soft on the skin and D even told us "They are really really lovely" when we asked how they felt on his face and hands. The water content in the wipes also leaves the skin with a layer of water on it which the skin will absorb over a few minutes and I feel that during the hot weather this added hydration on the skin helps children feel a little cooler as D kept asking for his face washed while out in the sun. As for the performance of the wipes, when removing dirt and sticky liquid from melted ice lollies I found that simply wiping once over D's hands and face was enough. He drew on himself with a felt tip while drawing the other day and after trying to wash it off with soap and water I tried to get the remaining pen off his hand with one of the wipes and was quite surprised when I was able to remove all the pen with the wipe! I have also been using the cleansing wipes daily both in the morning before I put make up on if we are going out and at night before I go to bed. Usually I would use a cleanser while washing my face and I wasn't really sure how the WaterWipes cleansing wipes would feel as they are very different to my usual products when it comes to ingredients. However I did find that using the wipes made my routine a lot shorter and much easier! One wipe was enough to completely cleanse my face and neck. Plus the whole process consisted of lift the wipe out, washing my face and putting the wipe in the bin where as before I was using a product which needed washed off after a minute or two and therefore took a bit of time to apply, wait, rinse and dry. The WaterWipes cleansing wipes also feel very different to baby wipes as they have a dimpled texture to one side. I think the dimpled texture is of greatest benefit when removing make-up, I am able to remove all of my eye make-up in one go with the exception of my mascara which takes another wipe or two to completely remove depending on how much I apply. You can see in the picture's above the during and after photos. ( I am not great at taking photo's of myself ). I think that WaterWipes have changed the way I look at wipes on the market now. Now that we have seen the benefit to D's skin and I have looked into some of the chemicals in our old wipes I can say that we will be using WaterWipes in the future. I hadn't realised that the wipes we had been using where the cause of D's rashes and the bumps on his cheeks as he has had them from a young age. When we had asked the health visitor during one of the visits before D was one they told us that they would go away and where nothing to worry about. I now believe that the cause was actually our wipes and the chemicals they contained. I would recommend WaterWipes to all parents out there and even to women who wear make up or are looking for a cleansing product. The benefits of WaterWipes both the baby wipes and the cleansing wipes are noticeable when you change. They are perfect for on the go and would be great for travelling anywhere with. WaterWipes are currently running a campaign, #PureLove. 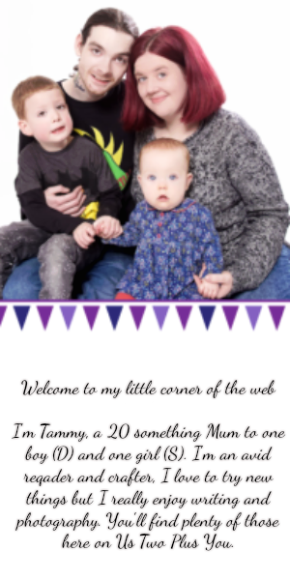 The campaign is about showing mums that they are amazing and their bodies are too. research has shown that new mum's who feel confident about looking after their babies seems to drop in the first few days of motherhood by almost 10%. Those first few days are hard for all parents, I still remember the first few days after D was born while we where at the hospital and I did feel like I might not be able to provide everything D needed. Luckily I had midwives who where there to help and show me what I needed to know. Not all new mums have that, the Pure Love campaign by WaterWipes commissioned the film below to try and support the emotional well being of new mums. Their aim is to show new mums that they are 'already all their baby needs'. In the film you can see an experiment which shows the synchronisation of both the mum and baby's vital signs during some skin to skin time. The film shows the remarkable effect the mother and baby's skin to skin contact has in stabilising the baby's body and biology. 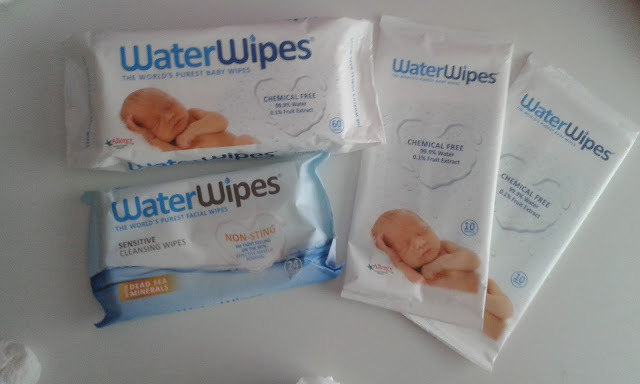 Disclaimer: We received the products from WaterWipes in return for and open and honest review. All the thoughts and opinions expressed above are our own.